* Sale Price includes individual poly-bagging. Price is per piece for sizes S-XL and the minimum order for the sale price on these is 96 pcs. Extended sizes require surcharge. Price is valid for a limited time and subject to change. These performance tees are made of 3.8 oz. 100% Polyester Dry Zone® moisture-wicking technology and have a tag-free label. 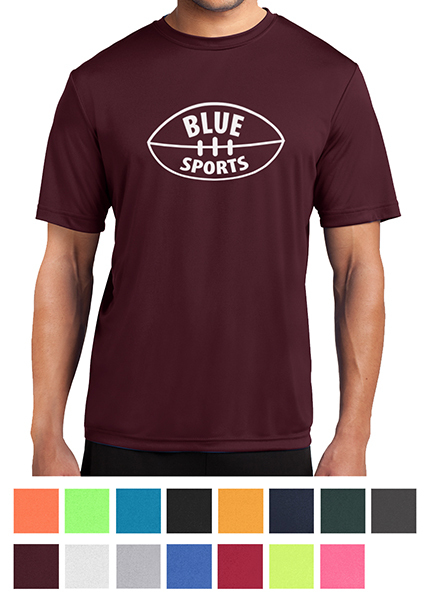 Colors: Athletic Maroon, Charcoal, Dark Green, Deep Navy, Gold, Jet Black, Neon Blue, Neon Green, Neon Orange, Neon Pink, Neon Yellow, Red, Royal, Silver or White. The #APC380 Men’s tees are available in sizes: S-4XL. See #ALPC380 for the Ladies’ style. Imprint can be up to 4" x 4" on left chest or up to 12" x 12" on front or back. Prices based on one standard color imprint in one location for sizes S-XL. There is a $3.00 surcharge per tee in size 2X-3X and $5.00 for 4X. Please add the applicable surcharge to your order. 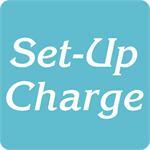 For logos/text: Add a set-up charge of $40.00 per spot color/per location for all new orders. Please specify how many: 2X-3X*Add $3.00 ea. Please specify how many: 4X *Add $5.00 ea. There is a $5.00 surcharge for each shirt ordered in size 4X. Please add the total qty of 4X tees you are ordering below.